I should have posted about our visit to Alhambra earlier because right now, I can't even remember the names of the rooms we visited. 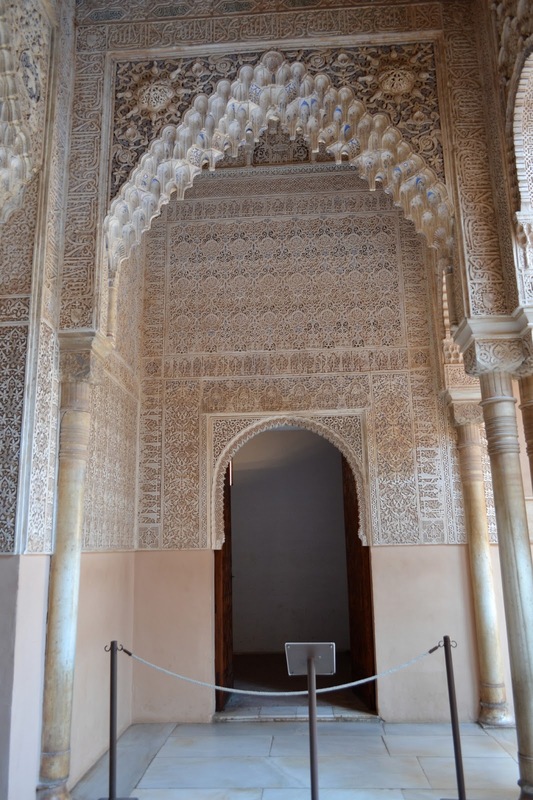 Nevertheless, visiting the Alhambra Palace in Granada is one of the highlights of our Spain vacation last year. 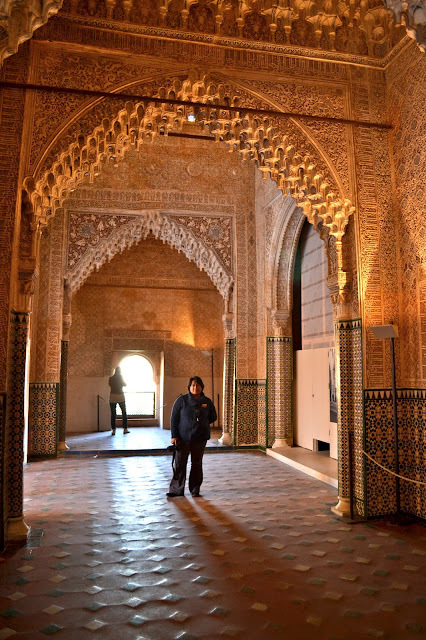 When I was young, my first glimpse of the Alhambra Palace was through the pages of the encyclopedia. I remember telling myself that day, "I am going to visit this place one day." If the walls of the palace could talk, I bet they could tell me all the stories and the gossips that passed through it's walls and floors. According to the palace tour guide, this is the Court of the Lions or Patio de los Leones. 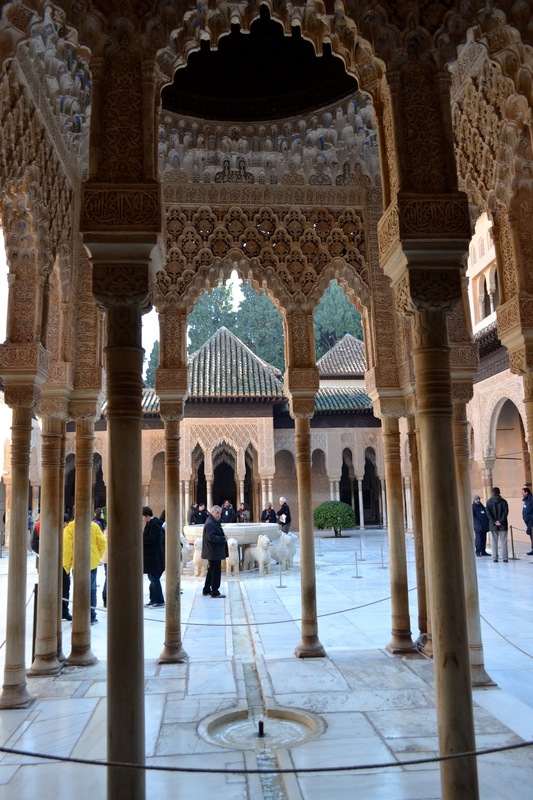 It is the main court of the Nasrid dynasty and it is of the palace. The Sierra Madre were covered in fog that early morning we visited the fortress. I had a hard time taking photos because every single corner, every wall is just worth taking a photo of. I don't know if it was just me or that I felt that my camera was inadequate to cover the palace's beauty. The walls of the palace. The palace is so beautiful, and I think my photography is such a poor representation of the place. 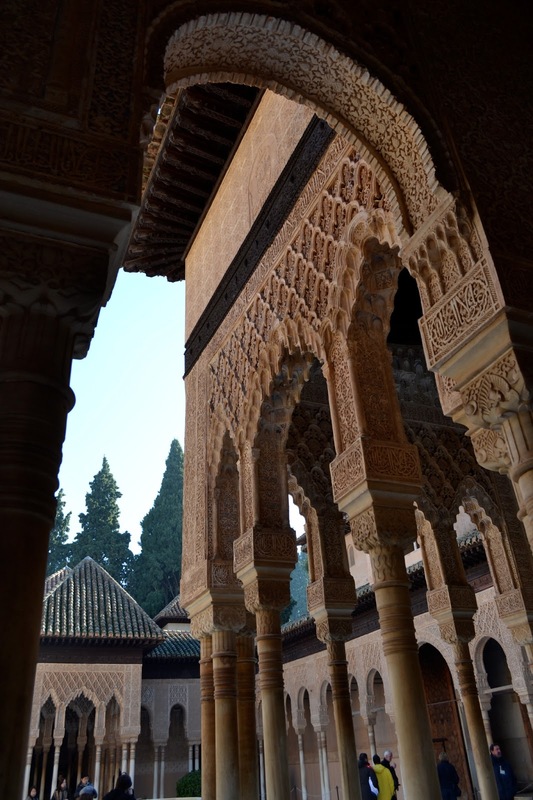 Irving's "Tales of the Alhambra" was written in the palace. Apparently, he was looking for an inspiration, and though at that time, the palace was in such a bad shape, he found his inspiration to write his book there. This is the plaque that marked the room where he did most of his writing. I forgot what this meant, but it has to do something with "Allah is Great." The is the original floor of one of the palace rooms. The designs are still there but most of them have faded. 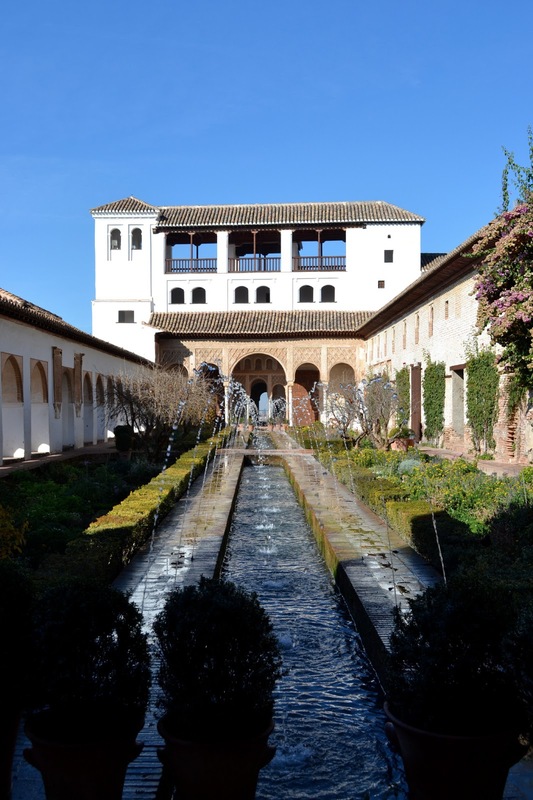 At the Palacio de Generalife, whilst fountains and flowing water are a common feature around the palace. This is the Alcazaba, a fortress, and it is the oldest part of the Alhambra. After visiting the palace, Kepi and I strolled through Downtown Granada, and I found myself a local chocolate shop. That bar did not last, as it was devoured during our ride back to Sienna. this is what a palace would look like to me. the walls are splendidly ornate; I'm sure the arabic writings on the wall mean something important. welcome back. have a new place yet? It's beautiful Maybe one day I will make it there too. what a lovely place. thank you for taking us there with you thru your photographs.